We all know I love to decorate my home and can talk DIY all the time. But, having a home is about more than just the pretty stuff, there is a lot of smaller things that need to be done to maintain that home. 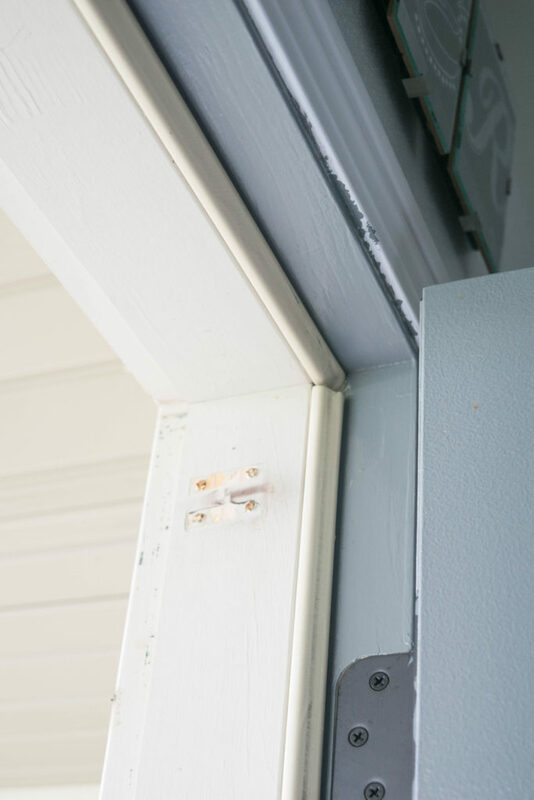 Today I am talking about one of those things, maybe not as visually appealing but so necessary; How to replace door weatherstrip and simple ways to improve a home’s energy efficiency. In the coming weeks, I am going to be breaking down and sharing these important home maintenance items. 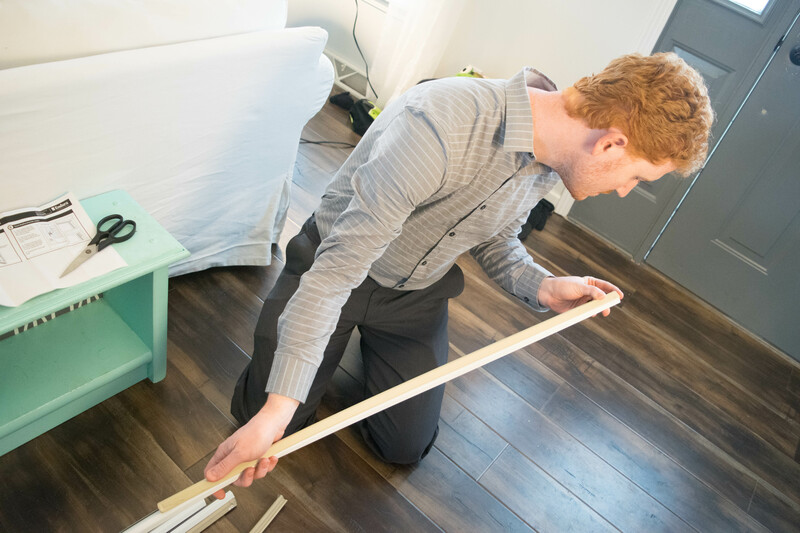 Today I am focusing on the simple way to help improve your home efficiency and save a little money on your heating and cooling! Having a home means there is a certain amount of updates needed to be done, and not all of them consist of granite counter tops or paint colors. There are so many small and large scale tasks to keep a home in its best shape. Throw in some cost saving ideas and this is called being a responsible home owner. BetterDoor came to me sharing information about all of their great products, the door weatherstrip and the corner pad were two of the many products I was eager to try out. I will be real honest here, I never even considered my doors weather protection. Which is so embarrassing to say, how can I ignore something that can be making my home colder in winter or warmer in summer? I grew up in Southern California, now living in Wisconsin, which makes the winters long and cold for me. How could I have let something like this slip my mind?! I want to make my home as cozy and warm as possible in those frigid cold months. 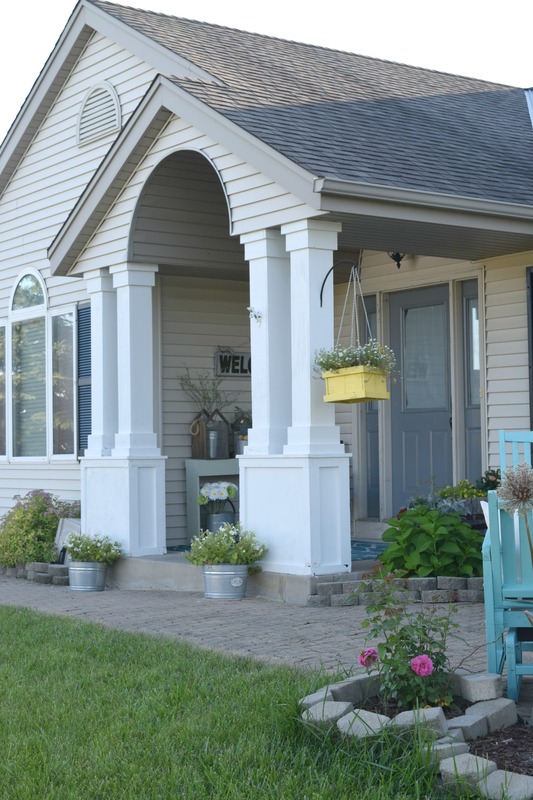 Now that Spring is here it is the perfect time to get these home improvement projects done, before the heat and humid summer hits. 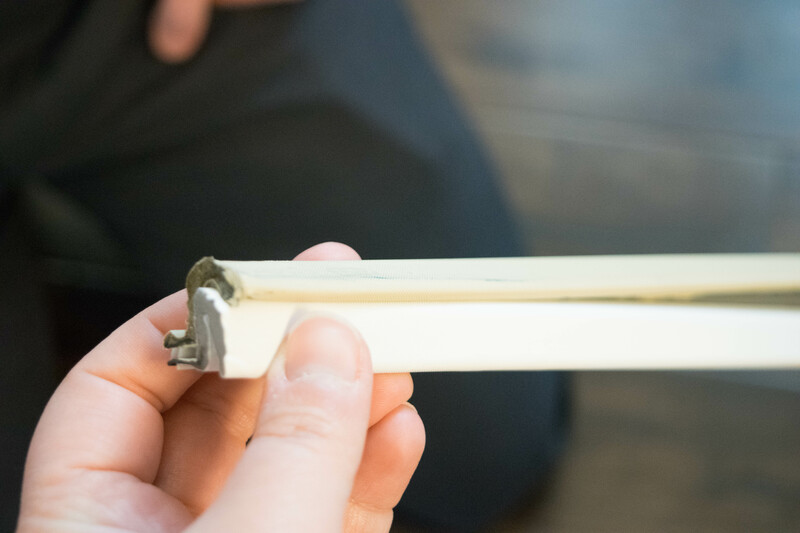 I took a look at my existing door weatherstrip, which I assume is as old as the house is. Our home was built in 1999 so it is almost 20 years of wear and tear. 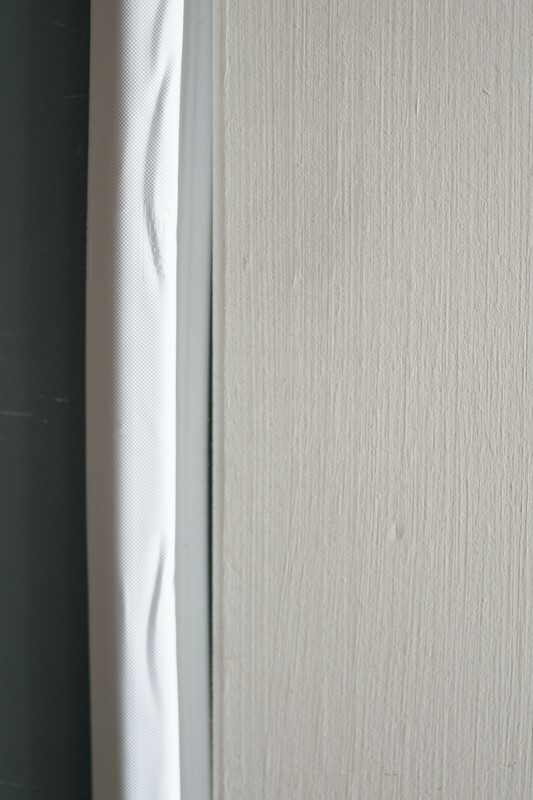 Which shows in the weatherstrip, it was torn, smushed and damaged in some places. 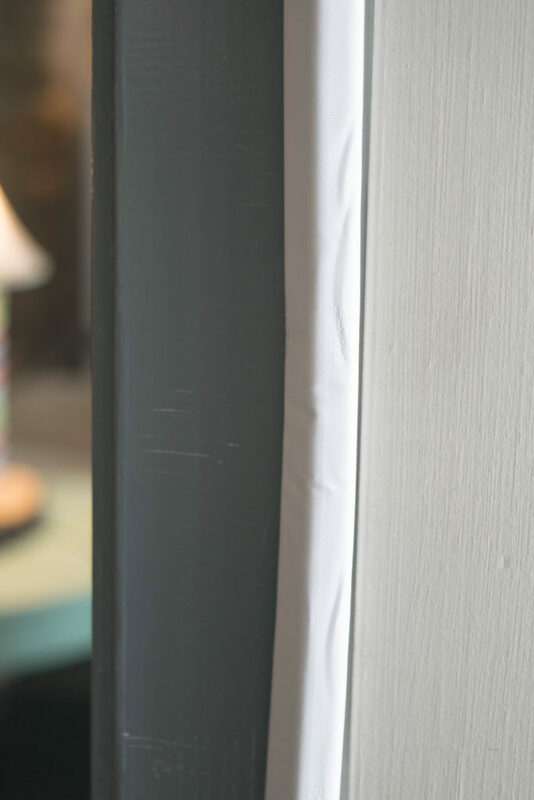 Our doors have not had the best seal and in winter you can feel a small draft coming through. This is not good for energy efficiency. Time to fix this problem! I am also installing two corner pads which “works to counteract upward water pressure within the weatherstrip instead of fighting against it. 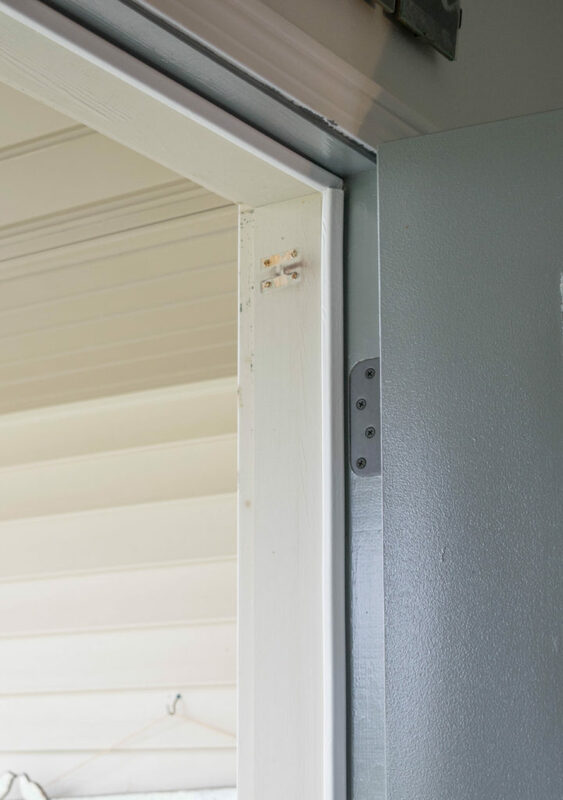 Second, dual sealing lobes seal between the panel and frame, even with margins as wide as 3/16”, preventing air and water leaks, and sealing in your temperature-controlled interior.” according to BetterDoor. 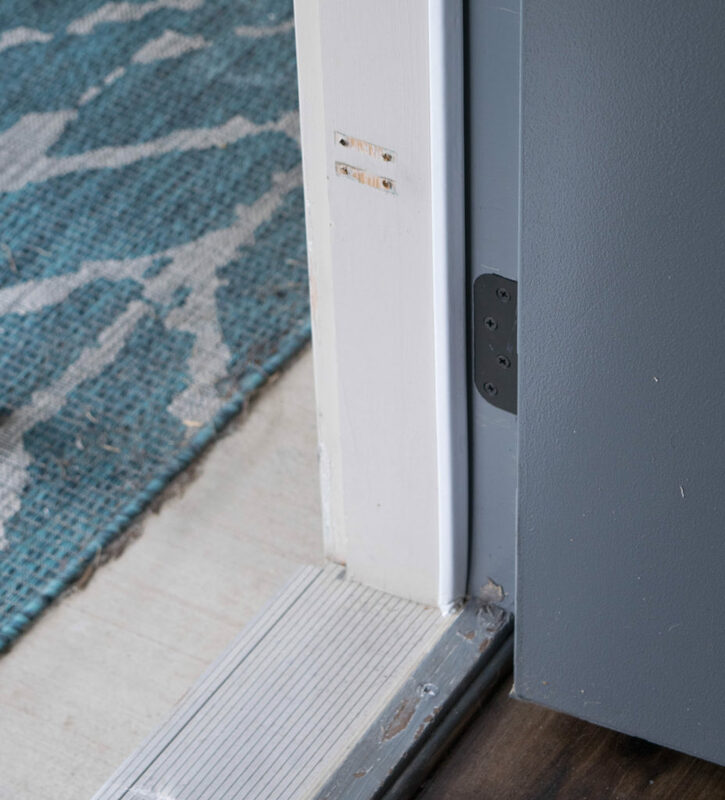 On the website there are a ton of products for doors, information on installation, and videos to help explain. There is also a diagnostic tool to help determine what your door may need. I was impressed with all of the resources shared. 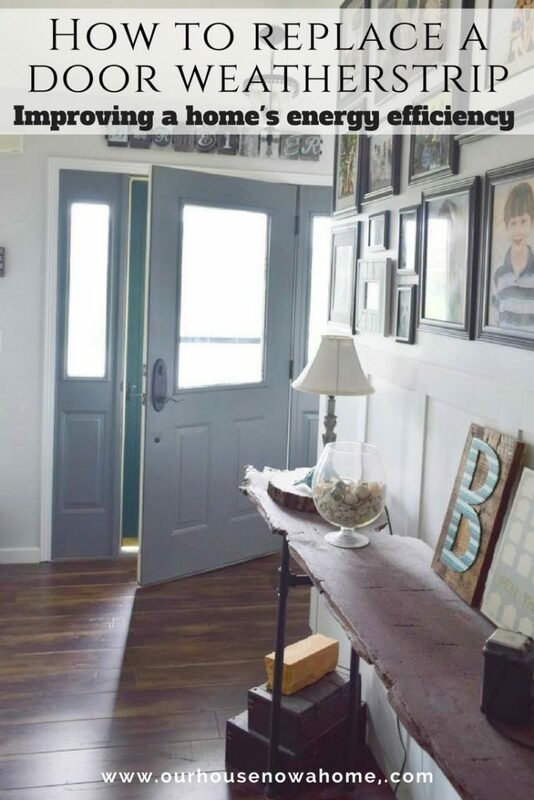 I am all about DIY projects, but admittedly do not know much as far as doors go. I can make them, paint them and sand them. Having them be efficient and in working order is out of my realm of knowledge. Now, to install this is insanely simple. 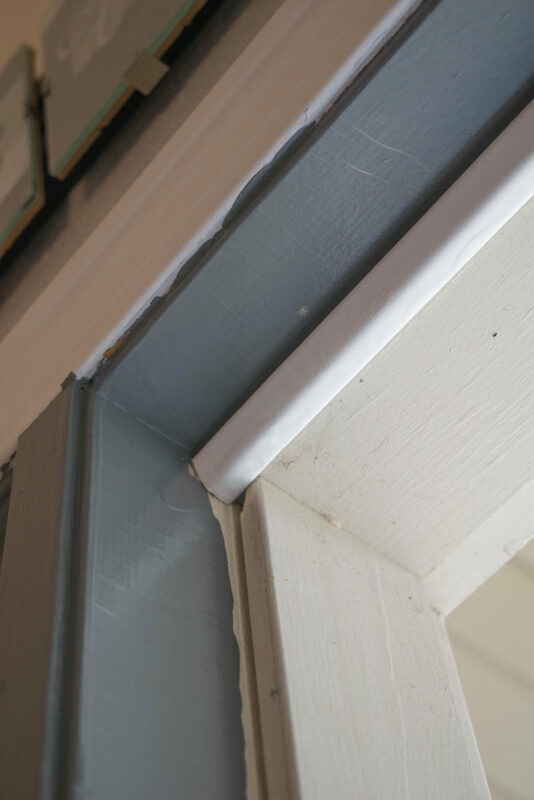 First, pull off the old weatherstrip. Mine came right off. There are easy instructions sent with the products explaining the installation, but this literally needs no tools. I don’t even think this constitutes as a DIY project, all you need is scissors. I wiped down my door once the old weatherstrip was off. 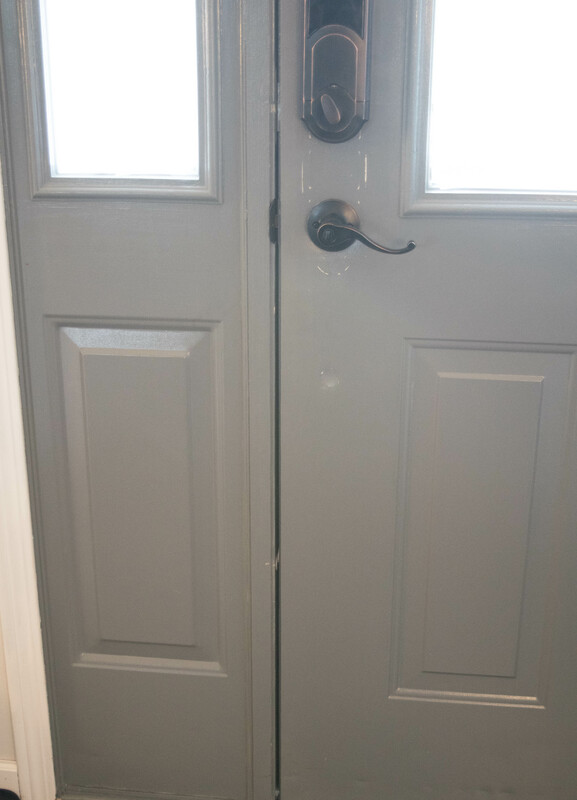 Here is my door with no weatherstrip, showing you how important having a good seal is. Even an old one can lose its shape and allow a draft or rain to get in the door. I commandeered Dale to help with this when he got home from work, it took us… no joke, 15 minutes. This is easily a one-person job. Since I am taking pictures to show you lovely people this process two was needed. The instructions stated to measure the door, we simply used the old weatherstrips as a guide for size. Lining up the old strip to the new one. Because I am an obsessive type A personality, I also measured before cutting. I wanted to be extra safe. That is it! Cut and ready to go on the door. The instructions stated to start with the top of the door, which is what we did. 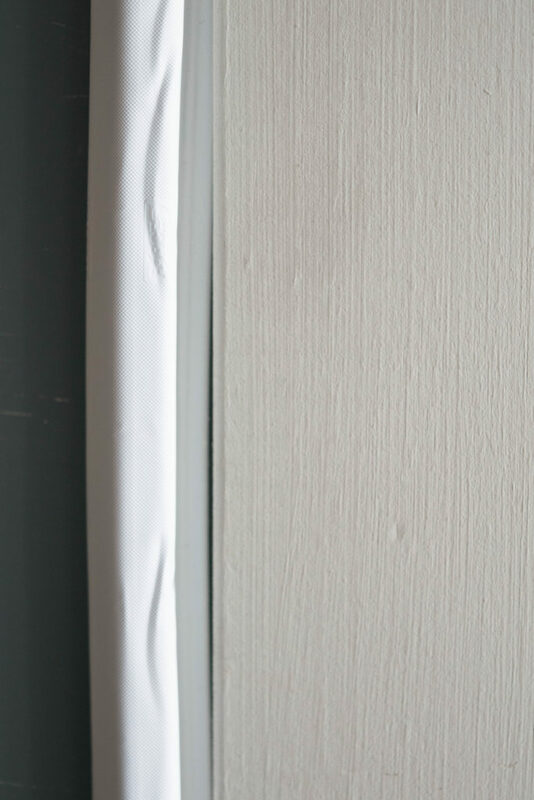 Lining it up into the small crease of the door jamb. Once it is centered and where it needs to be push the weatherstrip into the crease. Done! Like I said, really easy to do. Here is an example of the side going in. 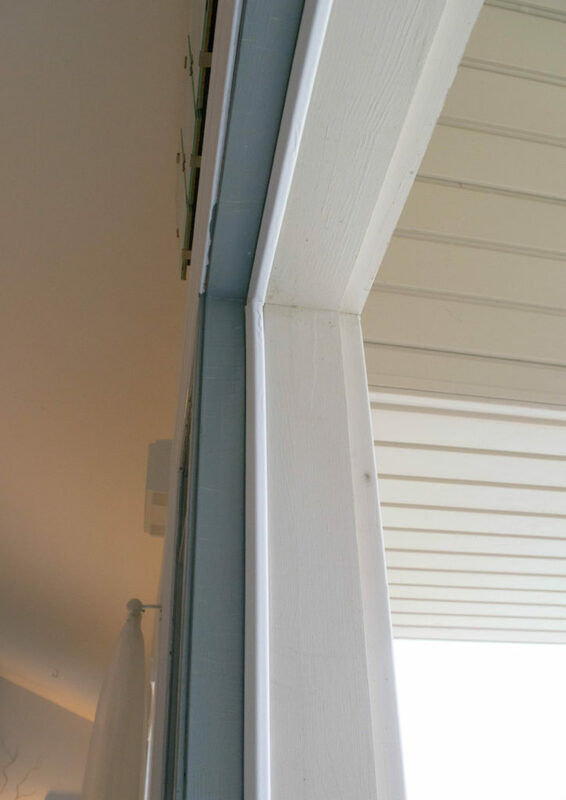 The above picture is with the weatherstrip not pushed in all the way. Here is the strip being pushed in. All sealed and ready to protect my home from winds, rain and humidity! Hey, no more light shining in! This is how these strips improve my home, even though it is something no one will notice when coming into my home. Other than feeling the cozy and warm feeling of a home in winter or the cooler reprieve from a hot summer day. Not having to crank up the heat even more in winter because of a draft will be really nice, helping with that all important home’s energy efficiency. Here is the other little addition for my front door. 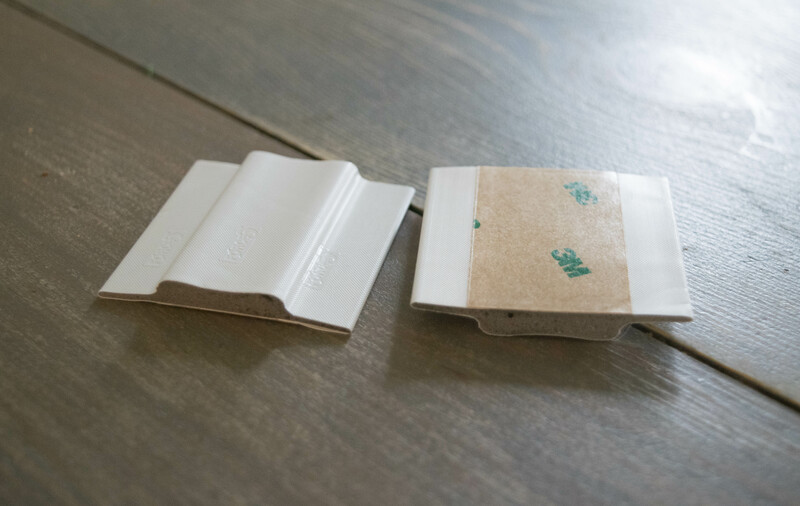 These corner pads are installed by the crazy simple peel and stick method. Situating them on the bottom inside of the door and pushing the side slightly under the weatherstrip. Pushing it all in to make sure all is secure. 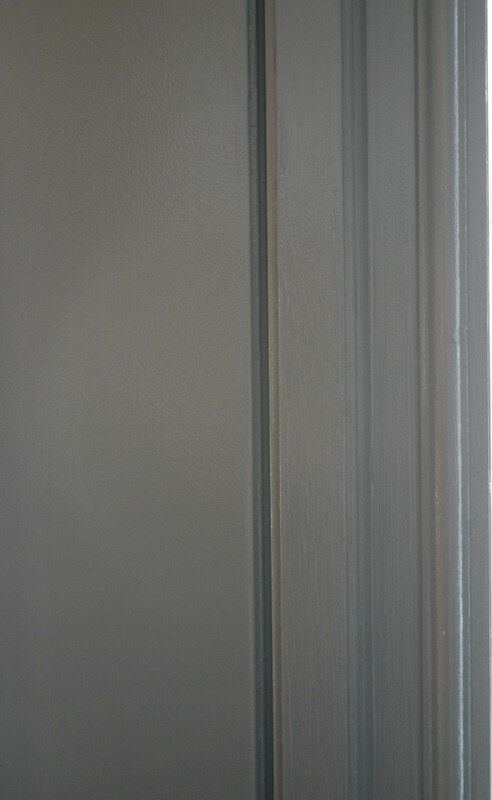 I like that they have different color weather strips, that really appeals to my home decorating obsession. Just to jog your memory, here is a door with no weatherstrip. Just imagine how much wind and rain can blow through this! Here is the exact same view with the new weather strip. Nice and sealed tight. I am now on a mission to see any way I can improve the exterior doors in my home. 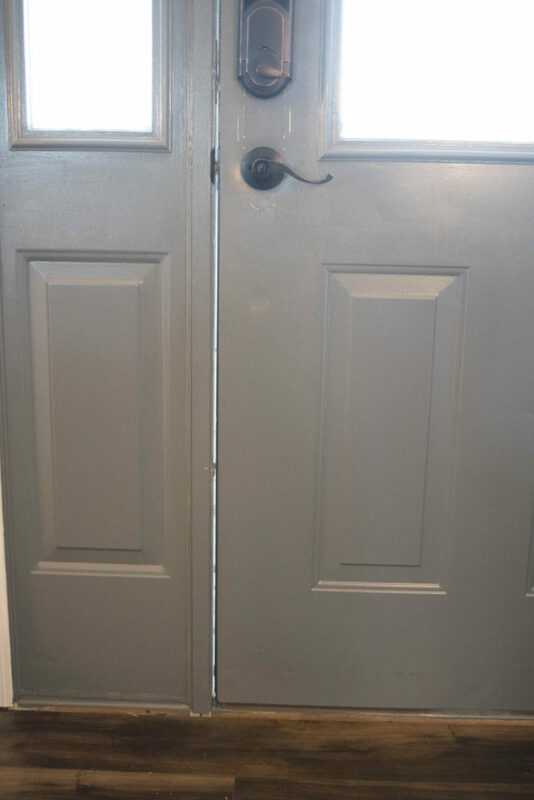 I saw a difference in standing in front of the closed door with my old and worn weatherstrip versus the new ones. There is a noticeable shift in the amount of draft felt. I can only imagine how much heat or air conditioning has been wasted on this issue. Dale told me “I want all of our projects to go this fast!” I had him help me right when he got home from work and within 15 minutes he was off to relax while I took more pictures. 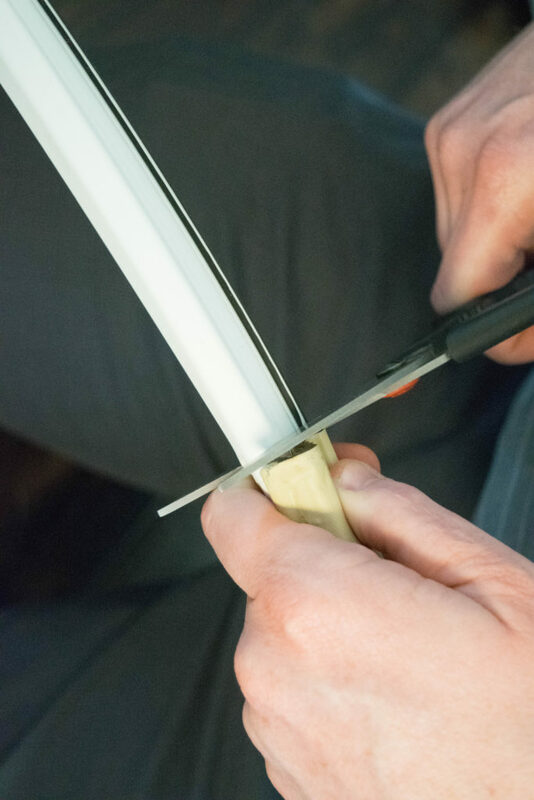 Simple and effective is the best kind of DIY projects. Now my front door is ready for Summer, bring on the heat! 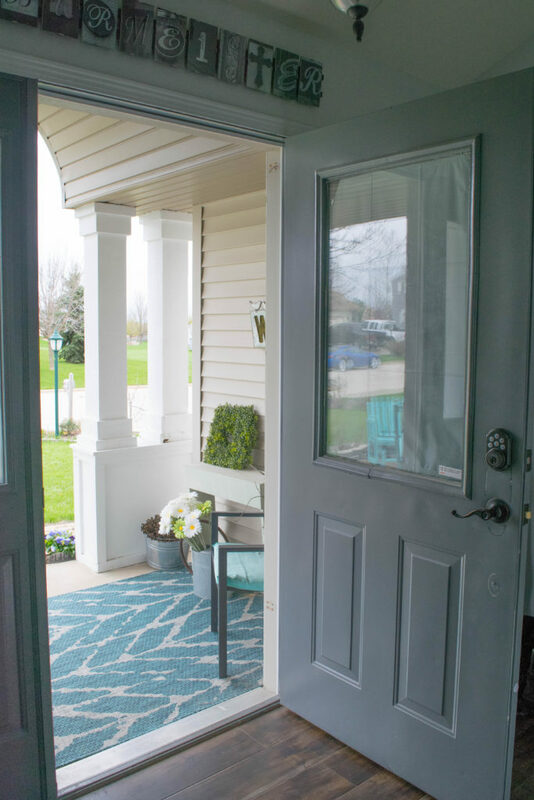 I am going to be updating the other exterior doors of my home with these same products and I am so excited to know this is one less thing for me to worry about. I like knowing that I am doing what I can to maintain my house, this is our home and safe haven. I want it to be comfortable, and not just glossing over these maintenance items. Throw pillows and new furniture is great, and I am still all for it. But it takes much more than that to have a house. 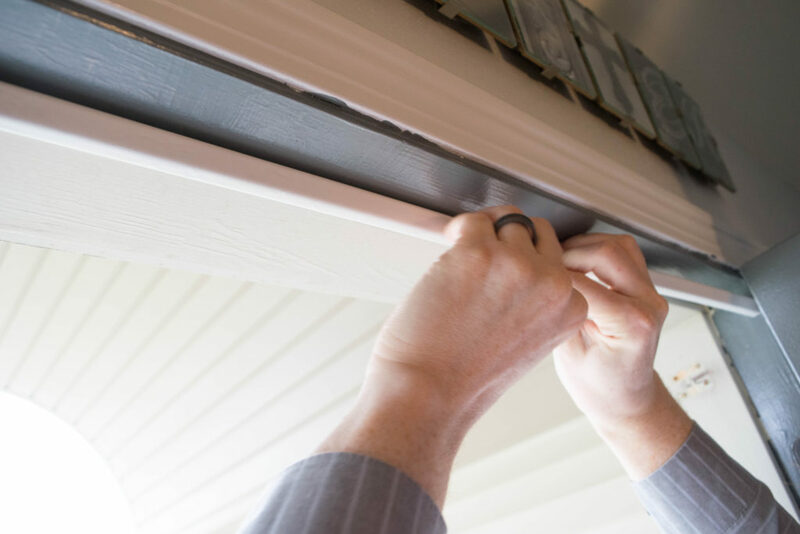 This post may have been lacking in the visual appeal, but How to replace door weatherstrip and simple ways to improve a home’s energy efficiency is something anyone will find helpful, and absolutely anyone can do! Seriously, just scissors were needed for this home update to be done. 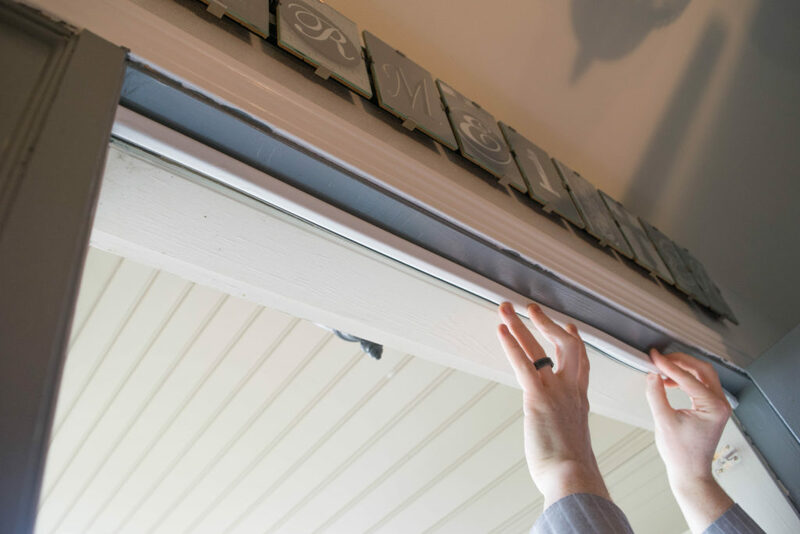 As I said earlier, I will be sharing more of these simple home updates and maintenance ideas. 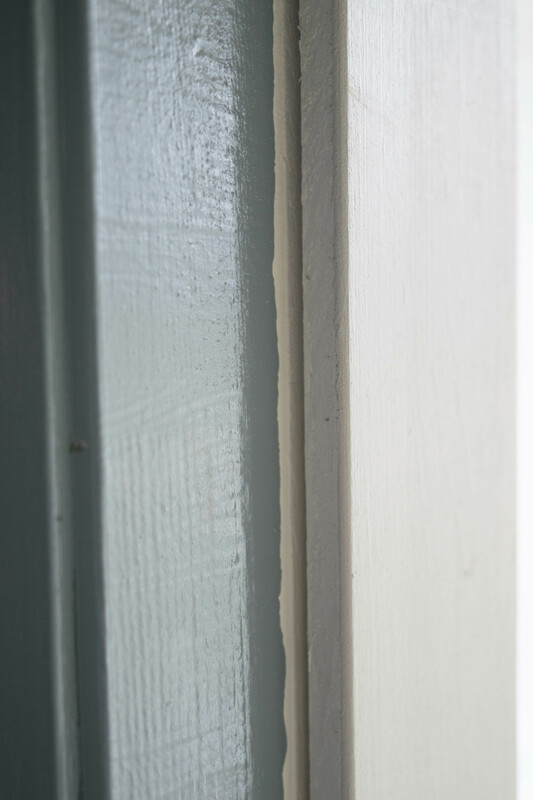 It takes a lot more than paint colors to maintain a home. Let me know if you have any problem areas or need some guidance on those home to-do lists. love it all! 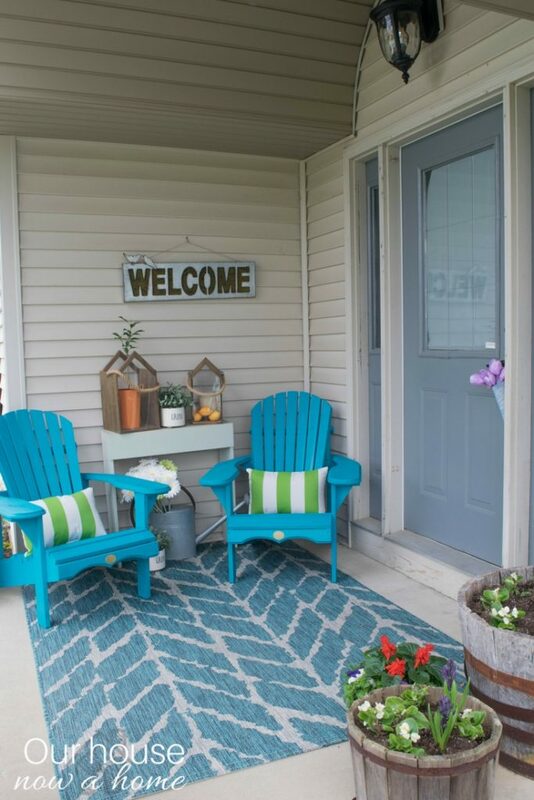 the front porch on the opposite side of door! 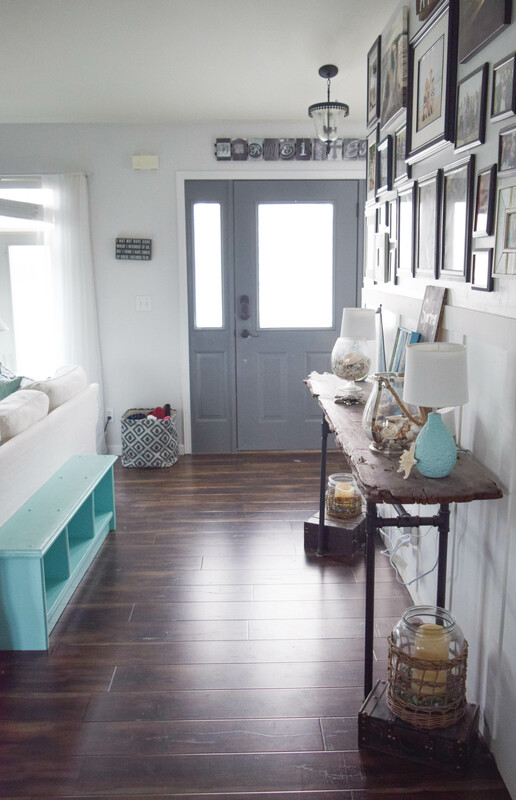 love the entry way sofa table! We just finished our first live edge coffee table! happy spring! What a great way to get your door to seal tight. Awesome home improvement project. We just did ours last year and I can say, it is worth doing. Great job! Great tips! 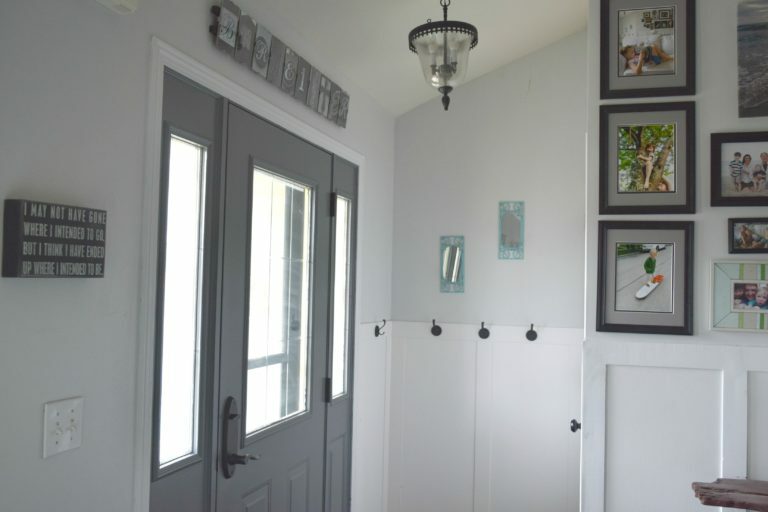 How long did it take you to finish the entire DIY project though? 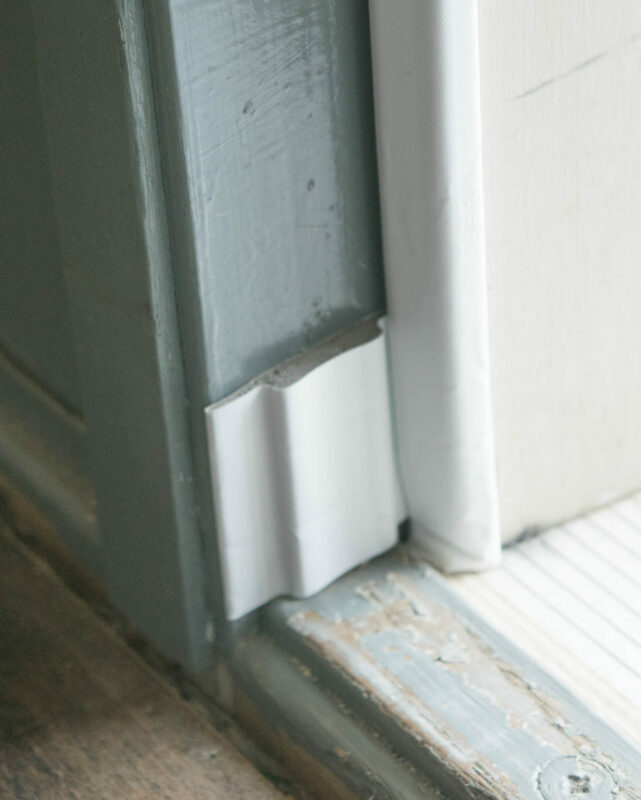 This is an efficient way to replace and improve doors in a home. It’s those little things that can make a big difference. 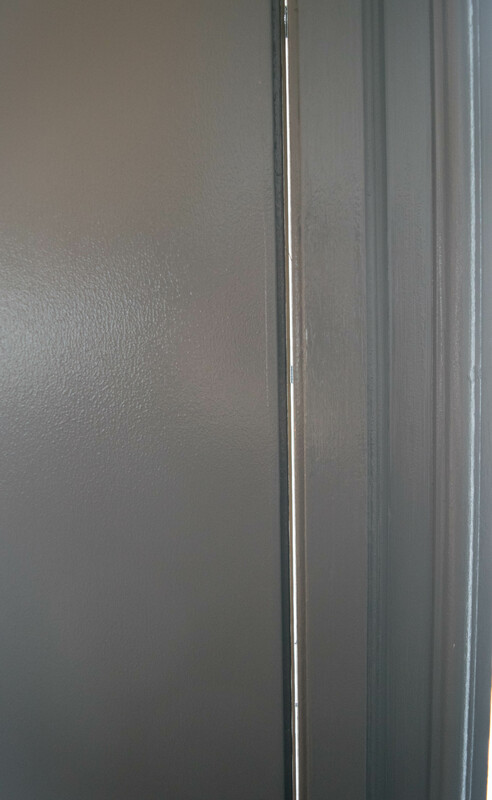 We replaced the weather strip on our door a couple of years ago and it really made a difference. I probably need to check it again. Thanks for the reminder! What a great step by step guide, not sure I would be brave enough to try it myself, but if it needs doing I shall pass this post to the other half and leave it in his capable hands. We’ve done this a couple of times. 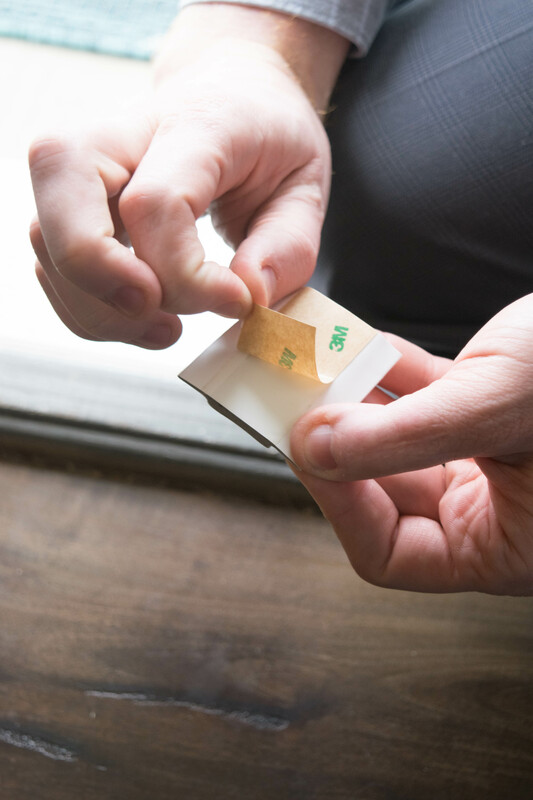 It’s an easy way to make sure the home is energy-efficient and doesn’t take long at all. Great tips! I live in an old house so I’m no stranger to light peeking through where it’s not supposed to be! this is such a great tip and really makes such a big difference! I Love your decor in your home, you have great taste. And this tutorial is definitely helpful because I, honestly, would never have known how to do this and would have had to hire someone. Almost 20 years of wear and tear is a good time to replace. It’s good you have a more efficient and affordable way to replace the weather strip. Great instructions on how to replace the door strip! I have heard from our contractors that it makes a huge difference when it comes to your heating bill! This is really helpful for me. I’m a single mom and I don’t know how to do a lot of “house stuff” and we definitely need to weatherstrip our back door! This is a wonderful tutorial. I know mine could stand to be replaced. It looks a lot easier to do than I expected. 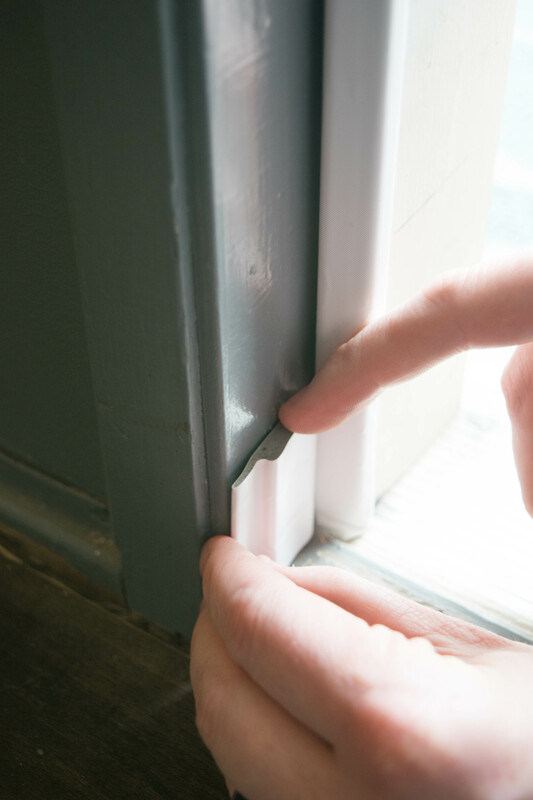 Weather-stripping is so important to keep the cold in during the summer and to keep the heat in during the winter. I actually need to replace it on my back door. Wisconsin sure has some wicked winters! I just spent my first “winter” in Texas and I couldn’t be any happier with my decision to move away from WI. This is what i need for my door, tons of air is loosing because i don’t have weather strip on my front door. These are great step by step photos. My home needs this. I definitely need to start considering more DIY. I need to do this to my house. 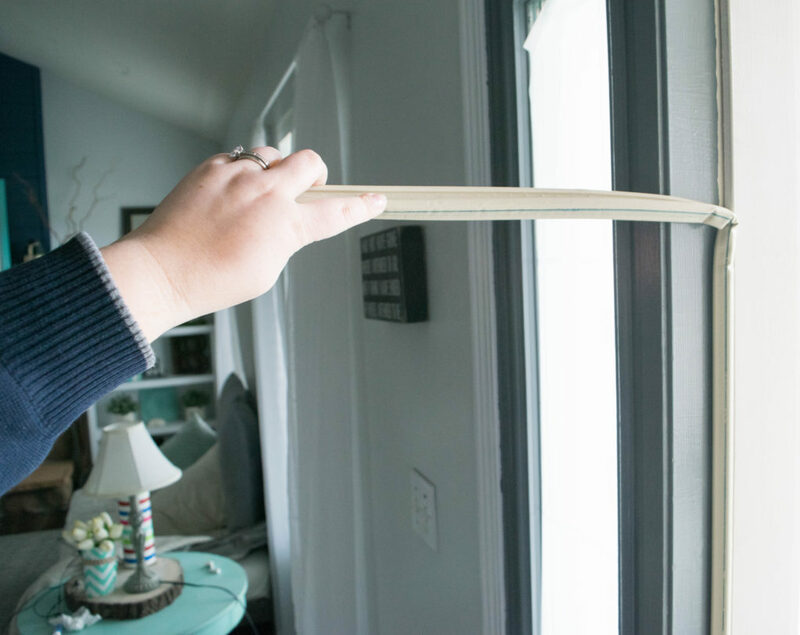 I don’t think we’ve ever changed the weather stripping in our house so now’s the time for me to try it! I need to do this. We have such a draft and I know it is wasting a ton of money in the winter. Thanks for the step by step pics of what to do! I didn’t know that it’s that easy to install weather strips! I should be doing it next time. Great post! Thanks for this reminder. I have to check on ours too. I think its been a while since our weather strip has been replaced! Wow! Great step by step guide here. Never actually tendered my doors but might have to soon. This is one project we have to do this weekend. 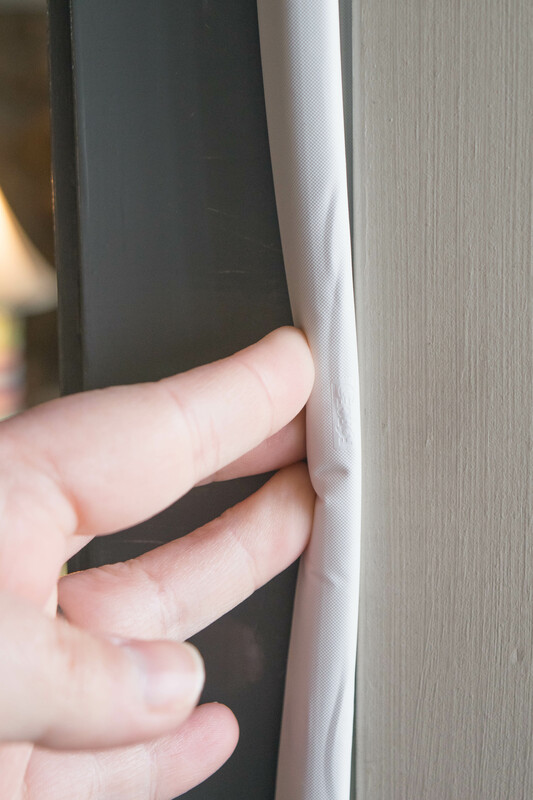 I will ask my husband to check on the condition of the weather strip and we will replace it as soon as possible if needed. 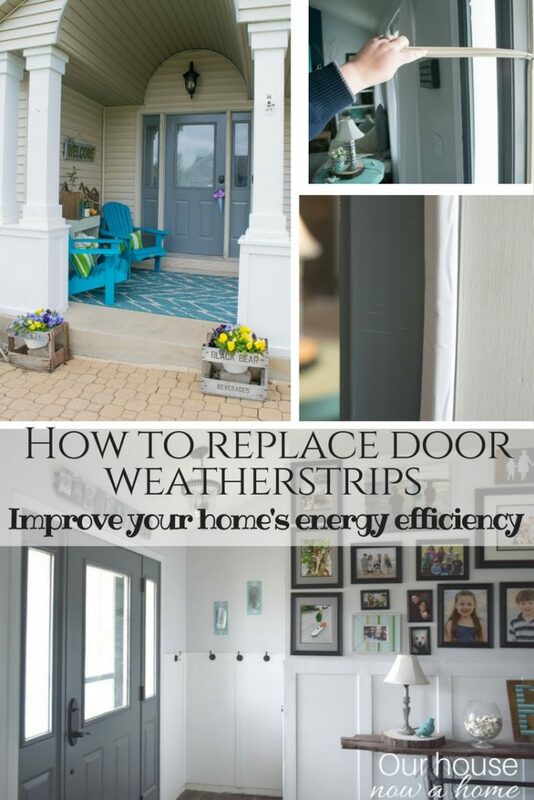 Weather strips help cut down on power costs too! My husband just learned how to do this! Great tutorial because I’m not sure I woulda thought I could do it myself. It looks like you did a nice job replacing that. I have never tried it myself, but do know it can make a big difference in the amount of drafts that can get into the house. Very useful tips! I love your house, so pretty and unique! 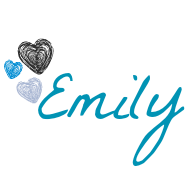 Love the white and blue combo colors! Such helpful tips! Thanks for sharing! I had to do this to our front door last fall. 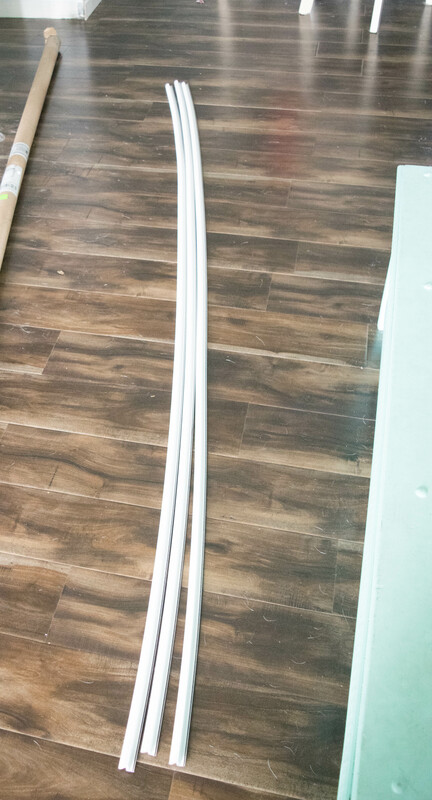 Our weather stripping was even worse than yours! Now i need to finish off the other outside doors! Reading your post made me realize I DEFINITELY need to do this! It looks so easy, and we definitely have a draft by our doors. Thanks for the tips!